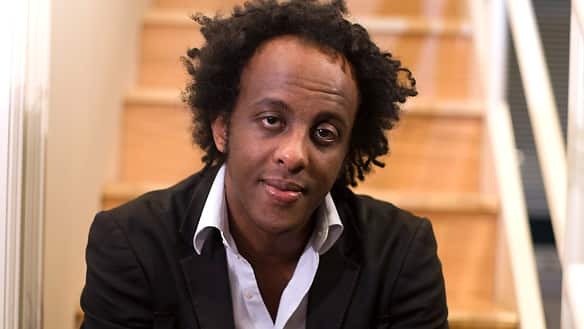 Dinaw Mengestu is the acclaimed and prize-winning author of 'The Beautiful Things That Heaven Bears.' He's been described as a straightforward, compassionate, keenly sensitive observer of real life.’ His second novel, 'How to Read the Air,' has just been translated into French. One thing my mother taught me… How to dice an onion. My most treasured possession is… If children count then my two boys. For me Paris is….Rue Saint Andre Des Arts. My first thought when I wake up…I wish I was still sleeping. The last time I said I love you was… This afternoon. My main vice is… Procrastination. On my gravestone they will write….. He tried and tried.